Movidius works with Google to bring visual awareness to the next wave of intelligent mobile apps. 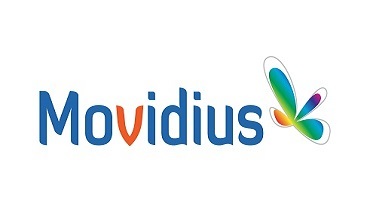 Movidius is the leader in vision processor technology for mobile and portable devices, today announced that it is working with Google to create intelligent vision-based applications beyond the capability of today’s mobile devices. As part of the agreement, Movidius’ Myriad 1 vision processor platform will power Project Tango, an Android-based smartphone product/development kit within Google’s Advanced Technology and Projects (ATAP) group. Myriad 1 is the first generation of the Movidius Vision Processor Platform, a new ultralow power, high-performance and programmable architecture of computational chips, software and development tools that enables a range of devices to intelligently understand and contextualize their surroundings. From smartphone, tablets, wearable and even robotics – Movidius can deliver up to 10 times more flexibility, processing speed and power efficiencies compared to traditional processors. By mapping space and motion in real time with detailed precision and accuracy, Myriad 1 aims to mirror human vision with a newfound level of depth, clarity and realism on mobile and portable connected devices. Myriad 1 will serve as the architecture for application developers and device designers looking to power the next wave of intelligent applications that leverage mobile sight and perception for an engaging user experience. Myriad 1 is available to qualified customers and software ecosystem partners now. Information can be obtained directly from Movidius. Movidius designs compact, high-performance, ultralow power, multi-core, computational image-processor chips, software and development tools and reference designs, to revolutionize computational imaging and computer vision on mobile devices, wearable and robotics.